This past weekend I attended the lone Winter Regional Championship that I go to, making the 25 minute drive for the St. Charles, Missouri Regional Championship. Headed into Regional Championships,as I outlined earlier, I considered Virizion/Genesect, Plasma, Darkrai/Garbodor, Blastoise, and Emboar to be the main decks to see play. I expected more of the first three to see than the last two because of the limited number of Tropical Beaches available, but I did expect the last two to see some play towards the top tables. With this in mind, I began looking for a deck that I felt most comfortable with in combating these five decks. I tested a wide variety of decks headed into the tournament. I’ll cover both these decks and the deck that I decided on playing. There were three decks that I was considering playing headed into the Regional Championship, all of which I thought were interesting enough to give me a shot at doing well in the tournament. I decided against playing them for a variety of reasons, but I felt they all would have been decent choices for the weekend. This was a natural choice for a counter deck that wouldn’t be overtly popular because of the lack of Tropical Beach, limiting the amount of mirror matches, which also made for a difficult matchup for the top deck from City Championships, Virizion/Genesect. A lot of the top players decided on playing this, adding Mewtwo EX to their lists to give them an attacker that attacked without the Energy discard, which is important against Garbodor decks. I went into building the deck with a similar mindset, but my choice of utility attacker was a bit different from Mewtwo. This is a little out of the box, but I thought White Kyurem EX would be a good choice for the deck. It swings for a solid 100 damage, discarding no Energy, which would be good for the OHKO on little guys like Sableye and Absol in the Darkrai/Garbodor matchup. 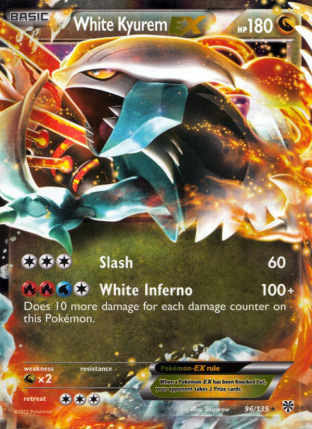 If they ever hit into it, then it would have enough damage on it to OHKO a Darkrai EX back, as White Inferno does 10 more damage for each damage counter on White Kyurem. Additionally, against Plasma, you can mess around with their Frozen City by fueling the damage for its attack. 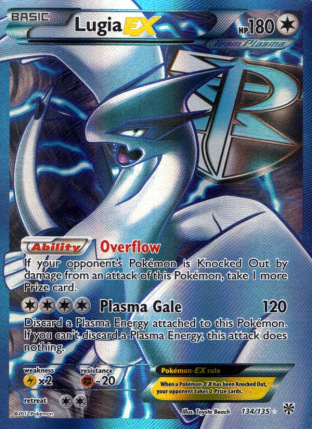 If you play a Superior Energy Retrieval and put 4 Energy on it with Frozen City in play, you can easily take a knockout on something like their Lugia EX. If they have no response other than to Raiden Knuckle, then you have an attacker that is just going to be sitting there ready to OHKO all of their Pokemon. I ultimately decided against playing any Stage 2 decks for the tournament, as I was having some bad luck in getting consistent setups with them during City Championships. 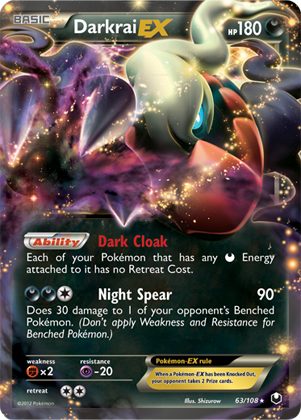 This deck presented fantastic matchups against both Darkrai EX and Plasma decks, as you hit both Darkrai and Thundurus for weakness, and the Drifblim line did well for finishing things up against Plasma. The Virizion/Genesect matchup is fairly favorable for you, but dependent on your opponent’s techs. 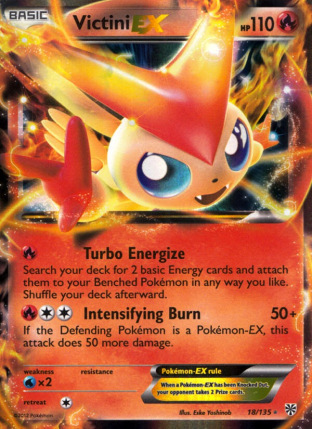 Obviously Victini EX is very strong against the deck, and Drifblim can be effective as well, but it’s not a completely one sided matchup by any means. 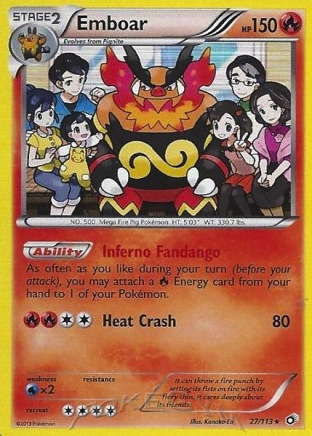 The Bouffalant’s with Silver Bangle and the Frozen City gave the deck a chance against Blastoise/Emboar, and the Keldeo EX was in there to help smooth out the Big Basics matchup. I may have played the deck if I had some more testing with it, as it seemed solid, but I didn’t get enough games in with it to feel comfortable with it. I had it built and ready to go for a friend, but they overslept the tournament. It would have been interesting to see how well the deck had performed if he got the chance to play it. 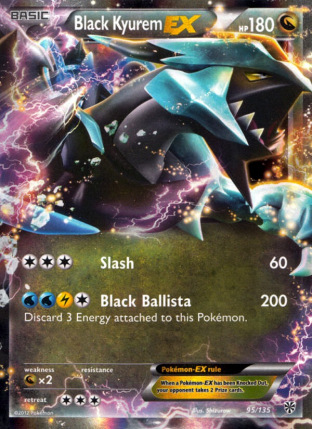 The last deck I highly considered playing was Darkrai/Garbodor, with Crushing Hammers. 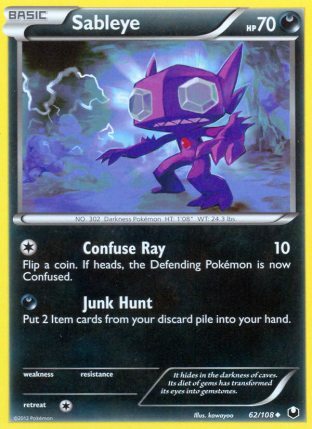 Basically, attack with Sableye for the first 20-25 turns of the game and finish up with Darkrai. I felt pretty confident in my ability to beat Virizion/Genesect, Plasma, Blastoise, and Emboar with the deck. I feel as if I played the deck, I would not drop a game to any of those decks. The deck is also well suited for the Regional format. Games can take a long time with continuous disruption, so as long as I would win game one, there probably wouldn’t be enough time for game two to complete, just because of the nature of the deck. What turned me off from the deck was Michael Pramawat winning Virginia Regional Championships with the deck, as that would surely lead to other players playing the deck. It is much harder to disrupt the Darkrai mirror match when they can continuously get their Energy back with Dark Patch. I’ll cover this deck a bit more later this week. I played it for a League Challenge last weekend and took first with it, so I do think it is a great deck, just not something I felt comfortable with when I knew I would probably have to play Darkrai mirror match a few rounds. The deck I ended up deciding on was Virizion/Genesect. I just felt extremely comfortable playing the deck, as I played it for Fall Regional Championships to a Top 32 finish, and did well with it during City Championships, taking a 1st, a 3rd, and a bubble with the deck. What really put me in line with playing the deck is that I was having success in beating Emboar decks with it in testing leading up to the tournament, so if I had found a way to at least play the worst matchup to a tie, it was something I felt comfortable playing as there wouldn’t be a matchup that I would feel I couldn’t handle. This list is a bit different then what I’ve played previously. With cutting Lugia EX, I found less need for 2 Colress Machine, so I cut that down to one. It’s still too good not to play, as it can setup an attacking Genesect EX in two turns through manual attachments and also gave you another option for getting Virizion EX active on turn 2 when you happen to start Genesect. I went with heavy Ghetsis, as I expected Darkrai/Garbodor to be extremely popular, and the card is great for disrupting them. It also gives you a much better Blastoise and Emboar matchup, as you can take the Rare Candy and Ultra Balls out of their hands. Sometimes they will have the Pokemon and a Skyla in hand still, but just making them have to use Skyla for Rare Candy to complete the combo, instead of evolving and then playing a Professor Juniper can buy you a turn of preventing them from attacking. In the late game, it can also keep them out of Superior Energy Retrieval. I played one Escape Rope for an additional bench disruption effect. It’s great against decks that try to wall you off with a non-EX forcing them to bring up one of their benched EX’s which can be G-Boostered. It’s good early game against Blastoise/Emboar for bringing Tepig’s up on turn 2 to knockout with Emerald Slash and Hypnotoxic Laser. 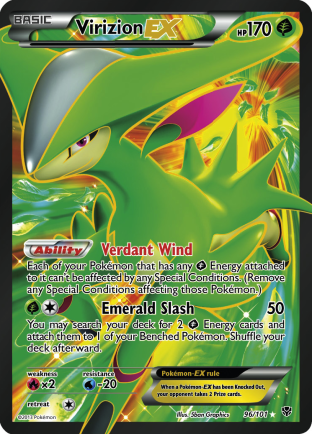 Lastly, it’s solid in mirror match for forcing their Virizion EX out of the active on turn one, making it more likely for them to whiff the turn 2 Emerald Slash. The other interesting thing I did with the deck is play a high Double Colorless count. In testing, the more and more I liked having Double Colorless Energy available to me. It’s a great discard for G-Booster, as it puts you down to only two Energy allowing you to stream G-Booster more easily. Additionally, you can power up Mewtwo EX to attack in one turn, and you can Emerald Slash to a Bouffalant, attach a Double Colorless and Energy Switch the excess Grass Energy to a different attacker. I also really liked playing 2 Shadow Triad, as they were great after your opponent N’d you in the late game. Ending up with Shadow Triad off a late game N can give you the Plasma Energy for the game winning Red Signal, or allow you to get G-Booster back for the win. I won’t go too in depth with any of my matches, as it’s hard to remember exact details for every match in such a long tournament, but I will try to cover the highlights I remember from each matchup. I attribute my round 1 win against Adler Pierce’s Darkrai EX/Garbodor to be largely result of just a strong matchup for my deck. I’ve never lost to Darkrai with Virizion/Genesect, so I felt confident in the matchup. Still, I was impressed with how fast his deck setup for him in both games, and wasn’t surprised to see he had also made the Top 32 the next day. Round 2, against Plasma, I lost both games, but both were fairly close. The games basically came down to him drawing a bit better than me. This is not to say I dead drew while he drew everything he needed, but it was just little things like him hitting what he needed off of the N, or me whiffing something off of an N that swung the games, or not having the N to disrupt when it was needed. 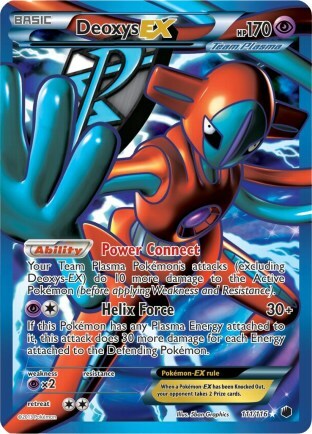 He made good use of Deoxys EX, swinging for big damage on my Pokemon. These were two well played games, and I think he played the matchup very well. I actually went to lunch with Chad, and on the way back from lunch when checking the online pairings I saw that we would be playing the next round. Chad is a good friend, and I help his son who made Top 8 in Seniors with a lot of decks, and he was playing Virizion/Genesect as was his son. In both of our games, he didn’t draw too well, so I was able to establish dominant board positions fairly easily. I don’t quite remember the first game of my round 4 matchup too well, but I do remember the second game. I believe he went down to 1 prize in this game, while I still had four left. I was looking at my hand, and had Energy Switch, and N in hand, so I was just praying for the top deck Shaymin EX so I could setup Shaymin EX, N him, and Revenge Blast him a couple times for game. I top deck the Ultra Ball, how lucky, search my deck for Shaymin EX…and it’s prized. This was a little baffling, as on my first search of the game, I go through a checklist of things of what are in my deck. Basically, is Mewtwo prized, is Bouffalant prized, is Shaymin prized, and is G-Boostered prize. I was near certain it was in deck, but it wasn’t. I think Shaymin has a magical power where it teleports itself to the prize cards when you know it’s in your deck and need it to give you the win, haha. I ended up grabbing Bouffalant, and that wasn’t the Pokemon that was needed to get the win. After this round, I am looking at the pairings and see that I was up-paired for the next round, and on further inspection it said I was 3-1, so my last match got misreported. I am near certain that we filled out the match slip correctly, so I would assume it was just a data input error. Before the round, I went up to the computer station to let them know they misreported my previous round. This was responsible for holding up the tournament before round 5 and causing the mass of repairs, sorry for that guys! In round 5, I was playing against a local player who I’ve played quite a bit and knew he was playing Darkrai/Garbodor, which is a good matchup for me. He also dropped his Crushing Hammers from his list, which made for a better matchup for me. In game 1, he didn’t really get much going, and I think in both games, Ghetsis was too disruptive to really let him establish much of a board. In round 6, I also played against a Darkrai/Garbodor deck, but this one played Crushing Hammer. He hit some Crushing Hammers the first few turns of the game, and I couldn’t get Shaymin EX up fast enough to start using Synthesis to get Energy flowing out of my deck. It was pretty clear after a few turns when he had a Darkrai EX powered up that I wouldn’t be able to win, so after about 5 minutes I scooped to give enough time for two more games. 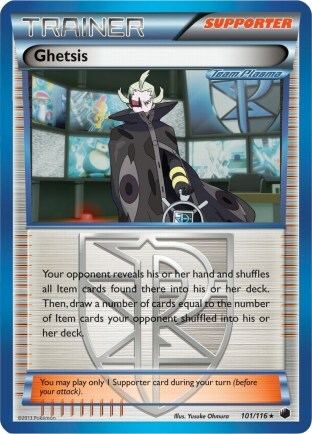 In game 2, I think I Ghetsis’d away everything useful from his hand, which made the matchup very one sided. Game 3 was a lot closer, but I got a quicker setup and was generally in control for the entire game. When I hit my second Tool Scrapper, having already taken three prizes, I chose to Red Signal his Garbodor and knock it out. I did this for two reasons – 1. It would put me in a better position if he were to N me. and 2. It re-activated Bench Barrier and Verdant Wind, really limiting the amount of damage he could do to my field. I think after I did this, he didn’t have an N to disrupt me, and I had G-Booster or Skyla for G-Booster in hand for the win. I don’t remember too much from my round 7 matchup, just that it was a close mirror matchup. I know game 3 ended with him N’ing me to 2, and then me getting a Shadow Triad off the N to get G-Booster back to seal the game. My round 8 matchup was against Blastoise, which isn’t the worst matchup for the deck. I actually lost all my matchups to Blastoise during City Championships, but I changed my strategy to going for Red Signal on Blastoise, even if they setup multiple Blastoise after reading some comments from Ray Cipoletti about how that should be the approach to the Blastoise matchup. In the first game, he never evolved into Blastoise thanks to the disruption from Ghetsis and constant Red Signals on his Squirtles. I started Shaymin EX in this matchup, and used Synthesis to accelerate an extra Energy onto my field. In the second game, he did get Blastoise setup, but I think he only got one setup, which was easy to attack. 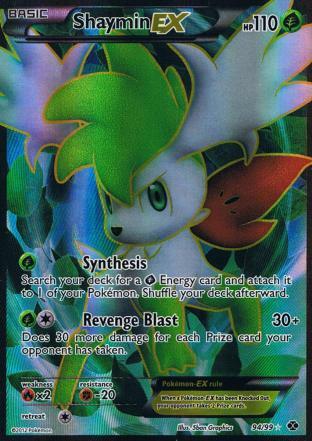 Once again, I started Shaymin EX and used Synthesis to accelerate Energy on turn one. 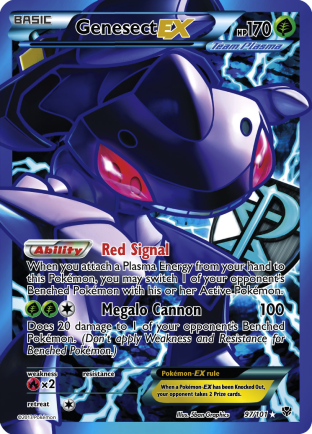 I think he may have prized all of his Black Kyurem EX in this game, or just couldn’t draw into them while having to use his Ultra Balls to get more Squirtle or Blastoise into play. I believe I took my first knockout on a Wartortle, choosing to Red Signal that up instead of the Blastoise, as I wanted to take a prize that turn while further setting up my field. He loads some Energy onto a Keldeo EX, and swings into my Virizion EX for 130 damage (I think he had 5 Water, 1 Lightning on it at this point). I use Energy Switch to put a Grass back onto Shaymin EX (I think I moved it to Bouffalant to use that at some point), and use Red Signal to take out his Blastoise. He then knocks out my Genesect EX with Keldeo EX and N’s me. I get two DCE’s and just attach one to Mewtwo EX and X-Ball for the knockout, and have Shaymin EX laying in rest on the bench to clean up the game. He scoops, as I don’t think he had any way of getting out another Blastoise in this match. At 18 points headed into round 9, knowing that 19 would guarantee Top 32 me and Carlos agreed to intentionally draw. I think this is the correct decision, as once you’re in Top 32 anything can happen, but if you play yourself out of cut you don’t have a chance at all. So I think it was the right decision, especially since only two 18’s made it into cut. In a mirror match, that we already had played out at a City Championship, there is a good chance we probably would have just ended in a tie anyhow, and it was late, so being able to get out a little early was nice. I know it was definitely the right decision for myself. If I had played it out and loss, my resistance would have been 57.3% and bubbled cut as the 34th place. I think Carlos would have been 31st if he had loss the last match, which is a little too close for comfort I would think given the uncertainty you have to where you stand at 18 headed into the last round, when with 19 you have the certainty that you’ll be playing the next day you have to take it. I don’t know how many of the other 18 matches ended up ID’ing, but I think when both players are in with an ID, or one player may bubble with a loss, it’s just the rational choice to take the ID into the next day. At 19 points, I was safely into the Top 32, and entered the day at 20th. More importantly, 1st seed was at 22 points, only 3 points way, and 8th seed was at 20 points, only a point ahead, so 3-1-1 would give a shot at Top 8, and 4-1 would guarantee it. The way I try to look at the Top 32 of these big regional championships is as a City Championship where some players are at a slight advantage headed in. At a City Championship, 3-1-1 and 4-1 are generally the targets to make it into top cut, so I just take the same outlook for the Top 32 at Regionals as I do with a City Championship and aim for those numbers. Here is how my Top 32 played out. Starting the day 2 against Emboar isn’t how I wanted to start the day, but I was confident the matchup was winnable. All of their attackers discard Energy when they attack, so if you can target down their Emboar or prevent them from ever evolving into it, there isn’t much they can do. Additionally, as they discard Energy when they attack, Shaymin EX, replace Tropical Beach with Virbank City Gym, and N can sweep the game for you. I ended up winning the first game by denying him from every getting an Emboar setup. On turn 2, I played Escape Rope to force a Tepig Active and used Emerald Slash with a Laser for the knockout. From there, I just used Red Signal on all his Tepig’s to make sure he could never get an Emboar out, and Ghetsis was highly disruptive in stopping Emboar from coming out as well. After that, I just took knockouts with Megalo Cannon/G-Booster until I won. Game 2 was much closer as he was able to get Emboar out fast. I just worked on getting Energy onto my field, and used Ghetsis/N to deny my opponent Energy from attacking, and eventually took out the Emboar, as well as some Tepig’s. My opponent played 2 Super Rod though, so he was able to put the 3 Tepig back into his deck. I didn’t go after the Emboar immediately, I believe I took out two Tepig while sniping 20 with Megalo Cannon onto the Emboar, and then eventually went for the Red Signal/Laser KO on the Emboar. I forced my opponent to knockout a Bouffalant to force him to discard Energy off his field, and put him down to one prize as well. From here, I play down Virbank City Gym, and N my opponent. My opponent is powering up a Reshiram manually with Energy at this point, so I have to retreat into Mewtwo EX use X-ball. He has three Rayquaza EX to retreat between, so it takes a few turns to finally get a knockout. I can’t just G-Booster a Rayquaza EX, as if he has the Energy, he can Blue Flare for the win. I never get the Plasma Energy to Red Signal up a benched Rayquaza EX for damage for a KO, so I’m just forced to continuously X-ball. On the turn before I can finally knock one of these out with X-Ball, he top decks Tropical Beach and uses it. I don’t have an N or Ghetsis to disrupt this, so I just take the X-ball KO to go down to one prize. He has the Rare Candy, Emboar, and Superior Energy Retrieval to knockout my Emboar for the win. I am forced to start Virizion EX in game 1, and draw Genesect EX for my turn. Time is called right at the beginning of my turn, so the only way I can win is to go for a turn 2 G-Booster on his Rayquaza EX. I Skyla for Colress Machine and then attach a Grass as well. If he can’t get a Basic, I have a shot at doing it. He N’s, and does get a Tepig benched, but he also N’d me into a Grass and G-Booster. I play the Juniper to see if I would have gotten the Switch for the win if he hadn’t got the Tepig benched, but I whiffed the Switch anyhow, and the game ended in a tie. I really missed Lugia EX at this point, as it would have been great for taking those last three prizes to seal the win for me. The next round, I had a mirror match. Game 1 was fairly back and forth, but going second in the mirror I was at a disadvantage, and never got the G-Booster attached to try to N and sweep with G-Booster. Again, I missed Lugia EX here, he would be great to even up falling behind early in the mirror match. In game 2, I Ghetsis away his entire hand, and he quickly scoops. This is important, as it probably prevented from the match resolving in a tie if he tried to play it out. In game 3, he goes ahead early as he went first. I attach a DCE to my Genesect EX and Juniper, hoping for G-Booster to swing the game, but whiff it. Turns out it was prized, I guess I mistook a Ghetsis for it during my initial search, as that has the same border and holo pattern as G-Booster does. I really needed G-Booster to swing the match around, and there is no guarantee for me to hit it off the Juniper, but without it in deck there was a zero percent chance, so I just didn’t have the cards in my deck to pull off a comeback. The next round, I played the world champ with his Blastoise deck. He got fast Blastoise’s out in both games, and also got multiples out and the first prizes I believe, so targeting down the Blastoise’s probably weren’t an option. The first game came down to me N’ing him, and him hitting Superior Energy Retrieval for the win. In the second game, I don’t start a Supporter, but don’t fall behind too hard. He forced me into an odd prize exchange, and I decide to Revenge Blast to go down to one prize instead of use Genesect EX. Not sure if this was the right move or not, as I couldn’t tell whether or not he played Pokemon Catcher or not. 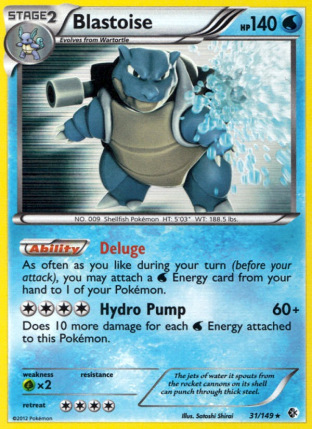 I still think this is the right move, as he could have loaded Energy onto an attacker, and then knocked out Bouffalant with Blastoise over two turns. With Genesect EX, any number of cards could have given me the win condition. Skyla, G-Booster, Plasma Energy, or Shadow Triad for a Plasma Energy would have won it for me, so I felt relying on Genesect EX assuming I would be N’d was the better option in the matchup. One thing that helped him, at least in the first game, was that I mulliganed, revealing two Ghetsis. This changed how he played out his first turn, as he removed all Items from his hand, limiting the impact of Ghetsis, and didn’t draw any Items after using Tropical Beach. Nonetheless, it was good to play a top level player and see the decisions they might make for their deck that are different than the average player. The next match, I played against Blastoise again. These games were really one sided, with Ghetsis really disrupting him, and me getting fast setups and dominant board positions established fast. My last round was a mirror match against Squeaky Marking. I don’t remember the details of the first game, outside of I pulled ahead for a board advantage. I was able to do this by playing Escape Rope to get his Virizion EX out of the active spot, causing him to whiff the turn 2 Emerald Slash. Game 2 was funny, in that he asked me if he should play conservative, or go for the turn 2 Megalo Cannon. I told him that wasn’t big enough, and he should go for the turn 2 G-Booster. He does just that, and G-Booosters my lone Virizion EX for game. In game 3, he prized his Bouffalant, and without that, going second, there wasn’t much he could do to even up the prize exchange in the mirror match. After the game he had me sign a Shaymin EX for him, he was a great opponent. In the end, I finished with an 8-4-2 record for 26 points, and a 22nd place finish. Not quite as high as I had hoped, I really felt like I had a good deck that had a lot of options that gave me different paths towards victory. I just came up a little bit short, essentially turning a win into a loss and having better resistance (which would have came with an earlier win in Top 32) of making it into the Top 8 cut. I was still very pleased to rebound from a poor 2-2 start to make it into Top 32, and I did improve 2 points from how I did at Fort Wayne Regional Championships in the fall. Virizion/Genesect did me well again for another tournament, which I was happy with, I really enjoy playing the deck. I wonder though whether for every big tournament going forward if I will keep resorting back to old faithful, or if I will finally play a different deck for a big tournament this year. The only regret I have is not finding some way to keep Lugia EX in the list. Space was just so tight, and I’m not sure what I would have cut, but I think keeping Lugia EX would have been the right play. 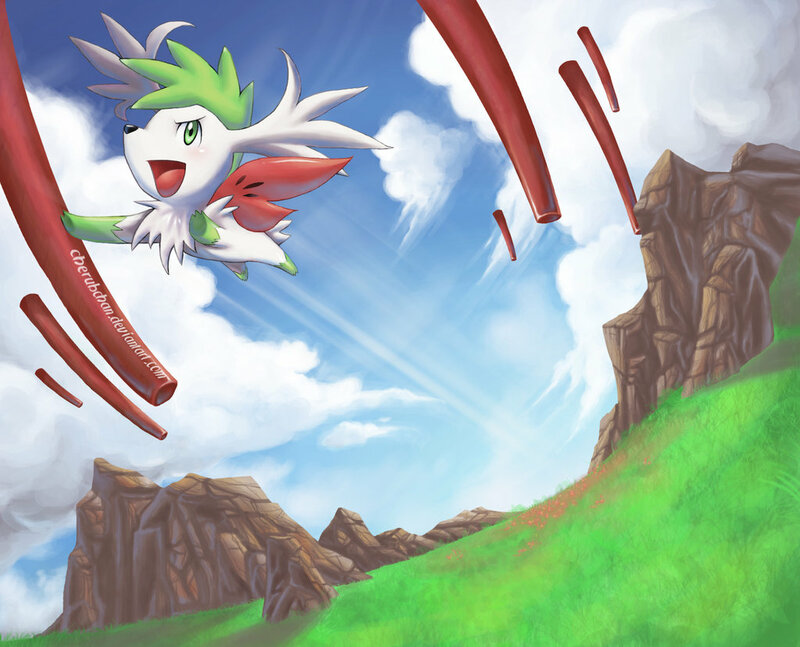 I also really want to thank you for everyone at the event who told me that I helped inspire their lists for Virizion EX/Genesect EX for Regional Championships. I really appreciated that!